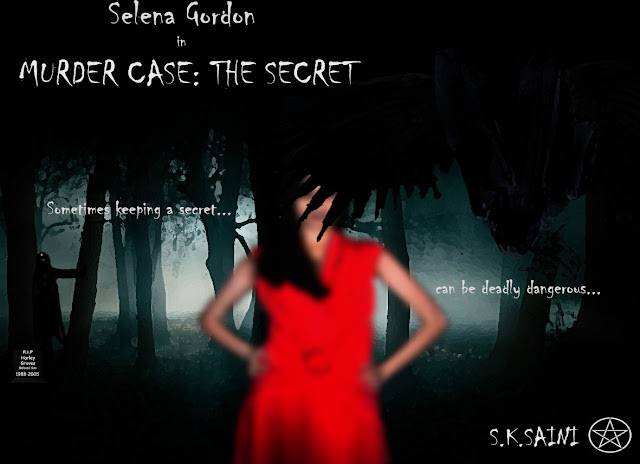 S.K.SAINI: My second promotional poster for my novel. My second promotional poster for my novel. This is the second one...If you haven't seen the first one,, just look below the first post here. This poster now has clues to what my novel is about. If you can find them, let me know in the comments, I'd like to see how observative my fans are. The crow (or I think it's a crow) in front is hard to see, makes me think something is up with her hair. Is that figure in the back off to the left? That's a nice effect, very creepy. her left arm also seems out of proportion with the right. Other than the bird and the arm it's very nice. I'd at least pick the book up to read the back from that cover. Actually, if you see the first poster, you'll know that's it wing. It covering her face for a reason. She wants to hide, but this 'thing' keeps trying to meddle in her life. Okay, I can see what you mean about the arm being bent. I guess the blurriness threw me off. No lines to see to tell dimension. The wing I did guess that, my point is the way it covers her face makes it look like there's something up with her hair and not an animal's wing blocking her. Maybe a color tweet to bring the crow out more?